Check out these unique iPhone cases from Case-Mate! I absolutely LOVE them, and so will Dad! Forget the boring ties this Father’s Day, get him something he will actually use and enjoy! 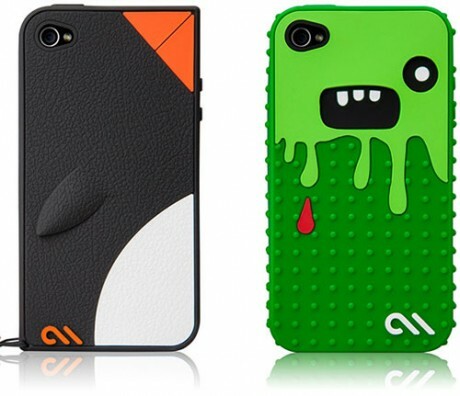 The Monsta and Waddler cases from Case-Mate are perfect! The Monsta Case will turn heads with it’s unique design, available in four different colors. It’s made of a soft silicon rubber that easily slips on to your iPhone, preventing scratches and cracks in case you drop it. The back of the case has elevated dots providing a textured grip and their are cutouts for all of your ports so no need to take on and off. You’ll be the envy of the town! The Waddler case is equally neat with it’s cool penguin look. Available in three different colors, the Waddler is made of textured silicone, also providing an easy grip. I absolutely love how unique these cases are! Click HERE to win your very own Monsta or Waddler case from Case-Mate! * Please note that I was given this product for review on behalf of the company. All opinions are entirely my own – others who may use this product may have a different opinion. I was given no monetary compensation for this review. Reviews on the best products available including unique gifts and gourmet goodies! Coupons & Giveaways too!